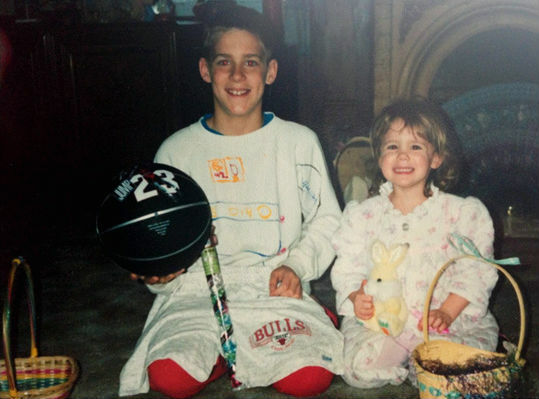 She and her big brother were all smiles after discovering what the Easter Bunny had left for them that April morning – a little yellow bunny and candy for her, Chicago Bulls shorts and an official Michael Jordan basketball for 9-year old Ben (how did that fit in his basket?)! 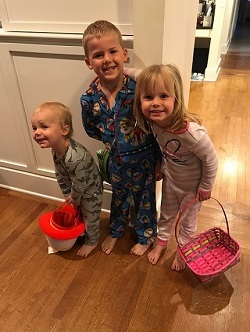 And it won’t be long before Baylee and her big brother, Benjamin Jr. are posing with their Easter basket treasures! You can see more family photos here.